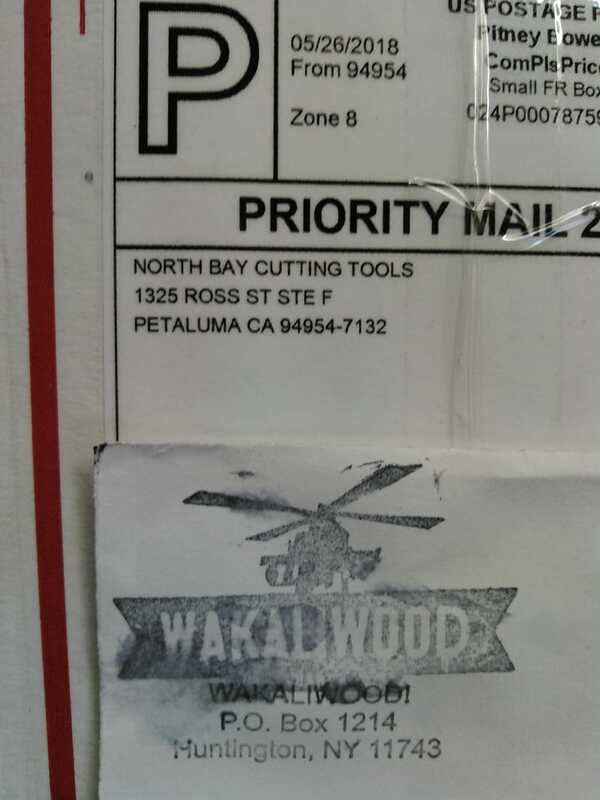 Let’s see...North Bay Cutting Tools and... Wakaliwood? What’s that? I’ll let Wikipedia try (feebly) to explain this one. OR, you can just watch the trailer. Suffice to say, it is a work of extreme low-budget guerrilla filmmaking that both evokes and puts to shame any number of student films because it was MADE IN A CAVE! WITH A BOX OF SCRAPS! made for less than most students’ semester textbook bills and includes greenscreen shots, dolly shots, and elaborate post-production editing. Are the effects good? Is it coherent? Maybe not. Is it - like any auteur work - full of very odd things that result from the filmmaker alone having creative control? Certainly yes. Is the filmmaker enjoying himself and able not to take himself seriously? Let’s see if the DVD extras and picture of the director as an “Ebola Hunter” answer that question, shall we? Ahem. Who has bitchin’ new Wakaliwood stickers? Me, that’s who. This DVD was produced entirely in Wakaliwood, Uganda, from the home of Nabwana IGG, using the computers he built himself. If you find there is a problem with this disc, we are happy to replace it. Though please be aware that performance will vary over time and with normal usage. Note that there is no Menu on this DVD. Most of our customers in Uganda have either lost or broken their remote controls, so it helps if the movie just starts. The Director’s Commentary begins right after the feature film. Basically, this is the movie that Birdemic could have been. If it was more violent, didn’t take itself seriously, and was bad in a good way. Fun. It’s available cheaply and puts money right in the pocket of the creators, who from all accounts are class acts, so why the hell not? For a try-before-you-buy, he does have the whole thing up on his Youtube channel, so there’s that.